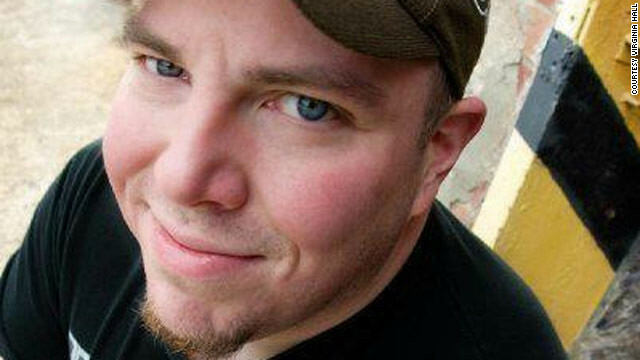 Joe Peacock says "geek" is what happens when passion overrides your need to be accepted or fit in. Editor's note: When he's not teaching the Internet how to fist-fight, why being weird is awesome or how to self-publish your own books, Joe Peacock tours the world, showing his extensive "Akira" art collection. He has 13 cats and loves you. We know who you are. You shine like a beacon. Geeks aren’t blind: We see you, geek poser. We know it’s suddenly cool to be smart and passionate. Those qualities earned us derision and exclusion from our peers at one point, and the term "geek" was thrown at us like it was meant to stab us in the heart. But now, it's become something of an honorific. These days, people actually want to be us - kind of. I’ve seen geek posers whip out their iPhones while wearing the Secret Wars or Domokun t-shirts they bought at Target for $9.99, telling their friends what a great time they're going to have at DragonCon or San Diego ComicCon, as if those are the happening parties of the day. They say things like, "Deep down, I'm a geek" or "I just have to embrace my inner geek" or "I bet you didn't know I'm such a geek!" It reminds me of the late '80s, when teenagers would wear Vision Street Wear or Vans shoes with a Bones Brigade T-shirt because they saw Christian Slater do it in that totally rad movie “Gleaming the Cube” (which, if you weren't alive then, you may know as "A Brother's Justice" - one of the few examples in film history in which a simple title change made a movie go from utterly awesome to completely crappy). Or the early '90s, when everyone was wearing Z. Cavaricci pants and Cross-Colors jackets because MC Hammer was all over MTV singing "U Can't Touch This." Or when every white kid over the age of 13 was wearing flannel with corduroy and Doc Martens because Pearl Jam was the hot band of the day. For some reason, "geek" has become the label that the mainstream has placed on a culture that mixes comic book fandom, sci-fi and fantasy movies, and tech consumerism. And those things all together have become very popular. So the trend is to call yourself "geeky" if you like them. Our pal Larry wonders, "Where's a spaceship when you need one?" 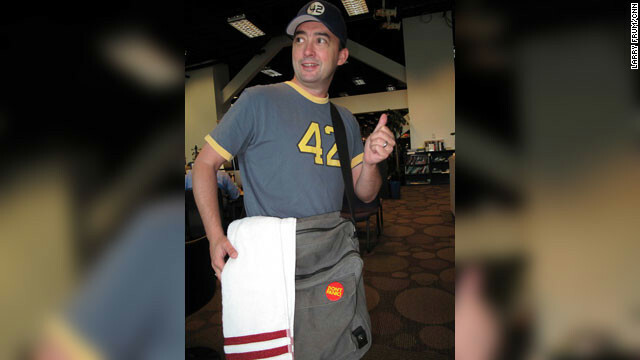 Editor's note: A few years ago, the nerds at CNN.com had to explain to our coworkers what Towel Day was. We helped clear things up on CNN's long-defunct SciTech blog. In commemoration of today, we're bringing back our very informative post. We like to think of it as a "collector's edition." Romulans, puppeteers, hobbits - lend me your ears! Today, we geeks can gather today and celebrate all that makes us unique. Worldwide, May 25 is known as Geek Pride Day, Towel Day (for "Hitchhiker's Guide to the Galaxy" fans like our own No. 42 above) and Glorious 25th of May, for Discworld fans. 1. The right to strive to be even geekier. 2. The right to not leave your house when there's plenty to entertain you there. 4. The right to freely associate with other nerds. 5. The right to have a few select (inevitably awesome) friends. 6. The right to have a ton of friends - each geekier than the last. 8. The right to be overweight/underweight/have poor eyesight and the like. 9. The right to show off your geekiness at all times. Not all geeks will agree with or adhere to all - or in some cases even most - of these rules. Everybody geeks out in their own way; that's the beauty of it. But we can all agree that being a geek can be a good thing. Why is that? 1. We can always find a game to play no matter what. We are like the MacGyver of games. Give us a pen and paper and we’ll entertain ourselves and others. 2. We look good in glasses. Seriously, we do. 3. We are clever. Who was the one who everyone turned to on "Lost?" The doctor. 4. Speaking of doctors, we have Doctor Who. He’s smart, funny, has a time machine and is one of the biggest geeks in the universe. 5. We can balance a checkbook. Whether we use a computer program, our raw brain power or a good old-fashioned abacus, we will not be overdrawn. Geek Pride Day is all about looking at the best parts of being a geek, so grab your towel, stick out your thumb and tell us what your plans are - or what you've already done - for Geek Pride Day. Agents J and K from the "Men in Black" movies make sure to neuralyze the situation. Starring Will Smith, Tommy Lee Jones and Josh Brolin, “Men In Black 3” is the new installment of the science-fiction film franchise in which “MIB” agents routinely save the planet from alien threats. In the latest entry, which is heavy on time travel, agents J (Smith) and K (Jones, and Brolin as the younger incarnation of the character) rely on shiny weapons to get the job done. 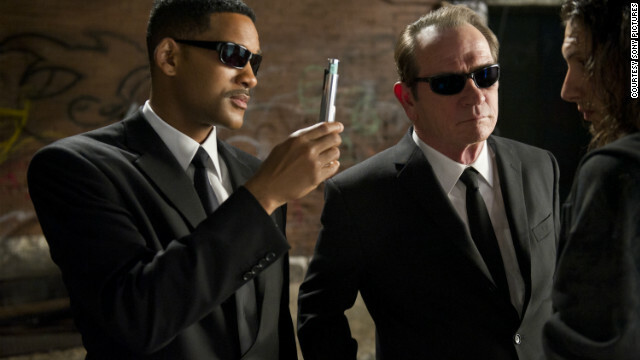 And to keep the average citizen from freaking out about aliens, they occasionally have to erase memories using their handy gadget, the neuralyzer. 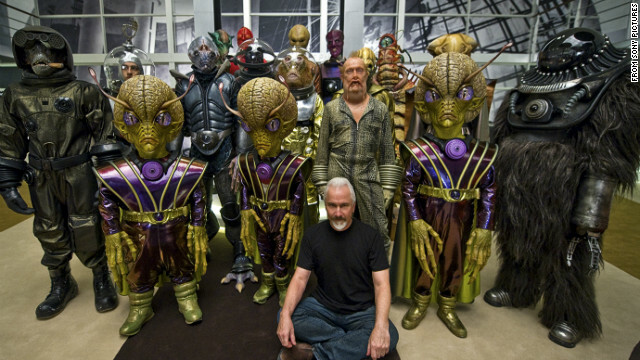 But don’t confuse the heroes of the “Men In Black” movies with the nefarious men in black suits that occupy a far larger space in the consciousness of people who believe in aliens and UFOs. The source material for the "Men in Black" movies was Lowell Cunningham’s early '90s comic book. The comic portrays MIB as agents who track paranormal happenings and murder witnesses to contain a situation - obviously the funny good guys of the movies are a departure from the original.